Afternoon High Tea: what could be more British! Despite being the national drink, it is thanks to Queen Catherine of Braganza, the Portuguese wife of King Charles II, that tea drinking was brought before the English royal court, starting a trend that would expand through the aristocracy of the 17th century and later into popular British culture. If tradition is to be believed, afternoon tea as we know it today was ‘invented’ by Anna Maria, the wife of the seventh Duke of Bedford. It was back in 1841 when she first started drinking tea and having a bite to eat in the mid-afternoon, a means of bridging the gap that existed between lunch (eaten at about 1 o’clock) and dinner (eaten at around 7 o’clock). It wasn’t long before this become a social event, with the Duchess sending out invitations to guests to accompany her for afternoon tea at 5 o’clock. By the 1860s the fashion for afternoon tea had become widespread. Such teas were elegant affairs: drunk from the best china and accompanied by deliciously prepared food pieces presented on beautiful china plates. On offer might be bread and butter, scones and cakes, as well as sandwiches with the crusts cut off. 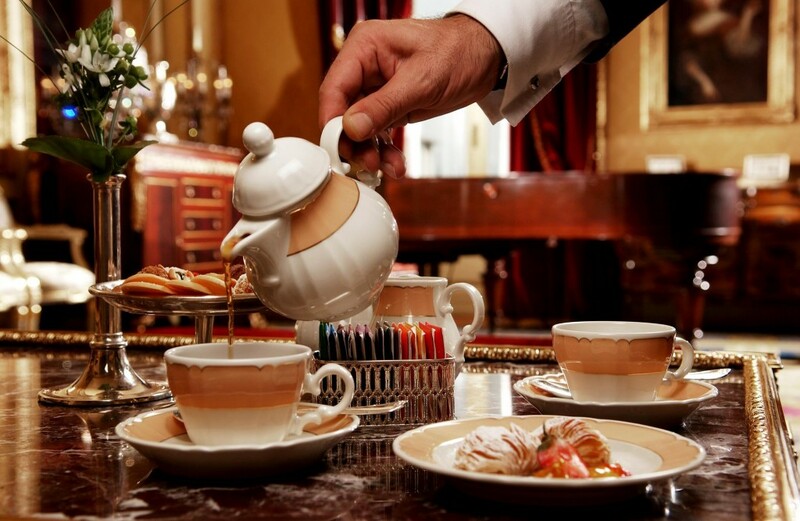 At London Magical Tours, we know the importance of this most British of institutions and are delighted to be able to offer our guests a range of tea drinking experiences to accompany our range of London Tours. All our tea offerings include priority fast track service, an exclusivity only available to London Magical Tours clients, with a table being reserved and the food freshly prepared in time for your arrival – the perfect way to avoid lengthy lines and help get the most out of your day. Guests on all our tours have the option to include afternoon tea with express service at our range of specially selected London hotels. 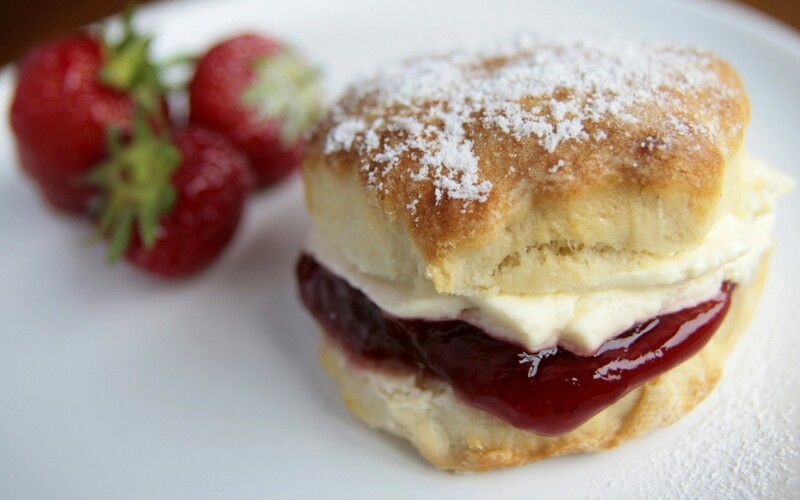 Treat yourself to freshly made scones with clotted cream and jam, finger sandwiches and a delicious selection of mini pastries, accompanied to drink with your choice of English tea, coffee or hot chocolate. An option with an accompanying glass of champagne is also available. This quintessential tea drinking experience is available exclusively as an option to guests on our VIP level tours. 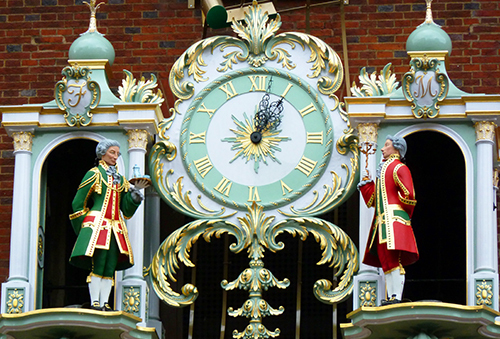 Founded back in 1707, Fortnum & Mason are Royal grocers to Her Majesty the Queen and one of the most beautiful stores in London. 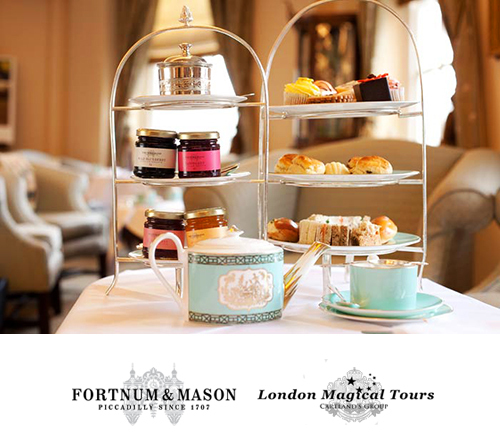 London Magical Tours VIP clients are offered a special by invitation only experience to enjoy a luxurious traditional afternoon high tea service at the Diamond Jubilee tearoom, opened to celebrate Her Majesty The Queen’s 60 years as monarch in 2012. Offering a fine range of sandwiches, the tea service is accompanied by scones with clotted Somerset cream and a selection of delicious afternoon tea cakes, along with the choice of tea or coffee. London Magical Tours VIP guests also receive a complimentary gift from the store for their visit – simply present your special invitation to guest services. The good old English cup of tea. Renowned throughout the world, revered by many and yet so often the source of much confusion to visitors to London. 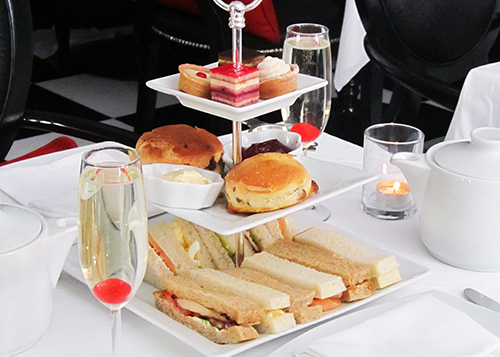 High tea, low tea, afternoon tea ….. ok we admit it can be a little complex! Tea drinking is said to have been popularised during the first part of the 19th century, at a time when it was quite common for people to only have two main meals a day – breakfast and dinner. Although luncheon was beginning to catch on, stories accredit a certain Duchess of Bedford by the name of Anna for starting the idea of a serving light snacks with a hot pot of tea to help combat that sinking feeling in the middle of the day, essentially creating a bridge between the main meals. Noticing how popular this idea became amongst her close circle of friends, it wasn’t long before the Duchess was sending out formal tea party invitations, the idea eventually spreading across all of London’s Victorian high society and beyond. The upper classes in society, who could afford the addition of what was in reality a third meal, drank tea in the afternoon. This type of afternoon tea was called low tea, drank on comfortable low chairs or sofas. The poorer members of society would instead have a more filling high tea in place of their evening meal at the dinner table, the name referring to the height of the table on which the tea was served. Despite this, visitors to London will today typically find high tea being advertised; over time it is true that the original notion has evolved and the upper classes sought their own version of high tea but instead of the addition of potatoes or even pies, looked to add salmon and fruit. Of course as any good Londoner will tell you – tea today is really an excuse for cake! Fortnum’s (the shortened name for the store Fortnum & Mason) is an iconic British institution founded as a grocer in 1761. Today it continues to stock a variety of exotic provisions, just one of the reasons why it is an official provider of tea to Her Majesty.